The iconic Oxford shirt is an impeccable staple. This trans seasonal must have is cut to our classic mod fit, featuring a two finger button-down collar and a tab branded front chest pocket. 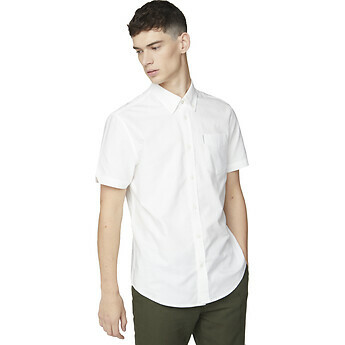 Ben Sherman Oxford shirts are quality made with premium cotton. They are true to fit and stylish. Always liked the details such as hangar loop, full box pleat, rear collar button and button down collar. In saying that, I would like to see the return of the four finger collar.